The Botticelli room is going to reopen in October! On October 17th the new Botticelli room is going to be presented to the press. The next day, the first visitors will be able to admire the new set up of the room that hosts the symbols of the Uffizi Gallery: The Birth of Venus, the Primavera and the other works by Sandro Botticelli. Botticelli (1445-1510) is one of the most representative artists of the Uffizi. He was born and raised in Florence, where today his most famous masterpieces are preserved. However, the great artist worked also in Rome. 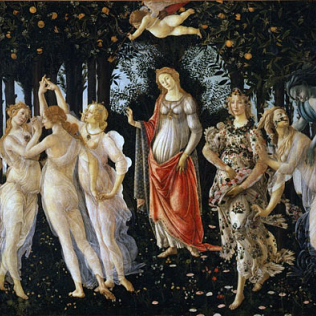 In the Medicean Florence, Botticelli had close relations with Lorenzo the Magnificent. In his paintings, he represented the principles of the neo-Platonic philosophy, which was cultivated by the intellectuals closed to Lorenzo. Over the past months, the room 10-14 has been closed. The restoration works adapted the hall to the standards of the New Uffizi. A new set up for the artworks has been also developed. The association Friends of Florence has financed a large part of the works. During the summer, the room 10-14, restored, will be set up. In a few months, the Uffizi visitors will be able to visit these renovated spaces, designed to enhance the most famous works by Botticelli, but also to enable a better use of the other paintings by the master, perhaps less known but no less important and beautiful.